In an age when everyone spends half their lunch hour running errands and just needs something quick and at hand, restaurants, cooks, and enterprising merchants have been able to capitalize upon the demands for street side meals with a food truck or trolley. If you have ever been in the downtown part of any large city, you have likely seen these entrepreneurs doing business and profiting from hungry workers or tourists. 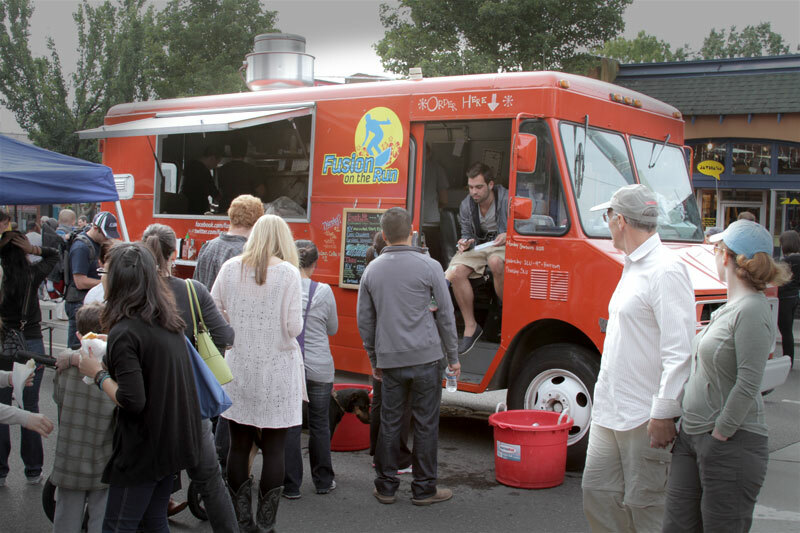 It is not difficult to start your own mobile restaurant, but you need a solid food truck business plan in order to get the effort off the ground. The first rule of planning a mobile unit service, as with any other business, is knowing your location. You need to make sure if it is legal for a person to operate a food dispensing unit in the part of the city that you intend to set up shop in. Some areas do not allow permits for mobile units or do not have the population needed to support a roving restaurant, while others have a cap on the number of permits issued each year. If it seems like major cities like New York and Chicago have one unit on every block, there’s a reason — there are a large number of permits available, but that number does have a limit. Once you have determined the physical location, plan the actual food you intend to serve. Set up a menu that customers can read: make it colorful, easy to read, and above all simple. Anyone looking for a quick meal from a food trolley or truck does not want messy descriptions or complex choices: have four to five main entrees (whether these are hot dogs or enchiladas or gyros is up to you), sides like chips or french fries, and cold drinks on hand. Round the prices to the nearest quarter, as most people will be paying with large bills and do not want to fumble for change. Financing may be necessary if you do not have the capital on hand. 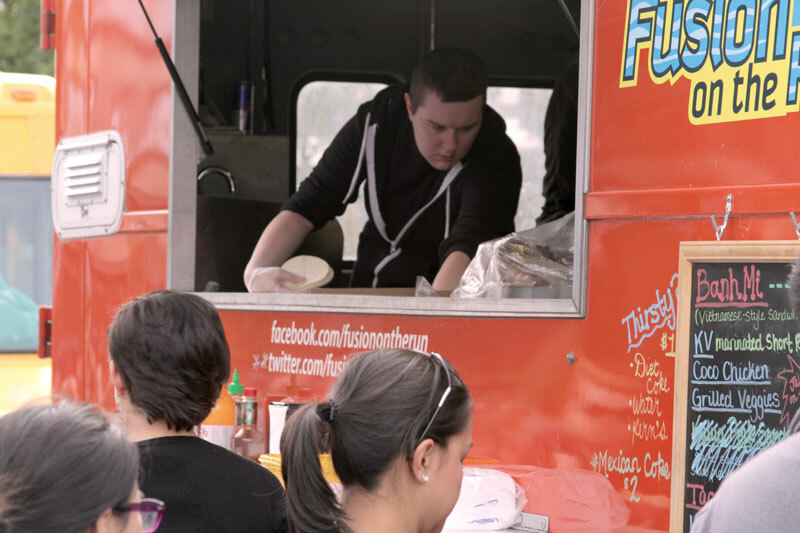 The good news is that a food truck costs much, much less to operate than a sit-down eatery, but the bad news is that banks are reluctant to give loans to start-up businesses that cannot expressly demonstrate customer capability and profit futures. You should only need between twenty to fifty thousand dollars to purchase a permit, buy a truck, install the cooking machines, and stock the unit. Market yourself! No company can survive if nobody is spreading the word about their products. If you have ethnic food in a region that only has soft pretzels, advertise your meals as an alternative. If you have the luxury of proximity to a stadium or arena district, hand out free samples while there are tens of thousands of customers walking by. Drop fliers wherever possible. Do not be afraid to use new social networking tools like Facebook or Twitter. 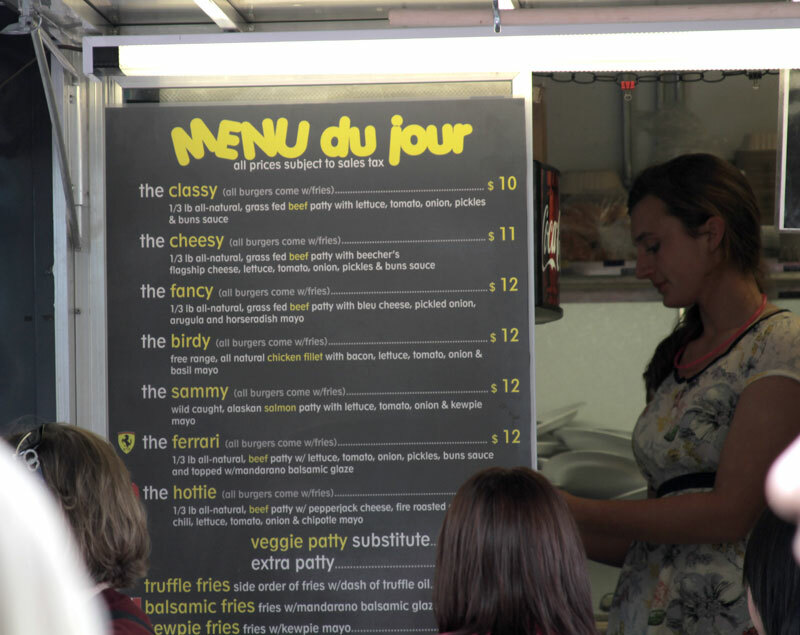 A good food truck business plan should emphasize the low cost of the food above all else in its marketing.